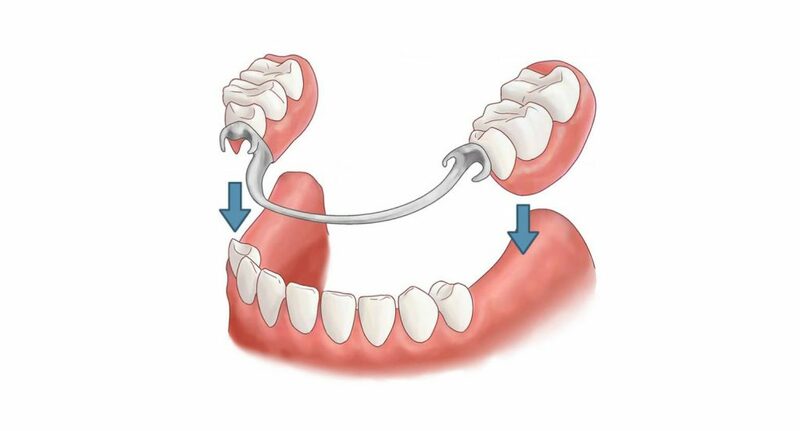 A partial denture is fabricated to replace several missing teeth in the dental arch. These prosthetics are considered a good restorative value because their cost is so much less than other dental restorations. They are often used in applications where there are more missing teeth than can be economically replaced with fixed crowns, bridges, or implants. Usually they can be made in less time and are less invasive than other restorative options. Partial dentures are removable and it is suggested that they be left out when sleeping. They are typically made from plastic, metal, or a combination of both materials. Flexible partial dentures have become more popular in recent years.